Rushan Abbas, a former broadcaster for RFAs Uyghur Service and the director of the U.S.-based Campaign for Uighurs exile group, recently testified at the U.S. Senate Committee on Foreign Relations in Washington about rights violations in northwest Chinas Xinjiang Uyghur Autonomous Region (XUAR), where authorities have held an estimated 1.5 million Uyghurs and other Muslim minorities accused of harboring strong religious views and politically incorrect ideas in a network of political re-education camps since April 2017. During her testimony, Abbas detailed how authorities in the XUAR abducted her sister and aunt in September 2018 after she took part in panel exposing conditions at the camps, as part of what she said was a bid to silence her and stop her activism within the U.S.
She praised recent strong words coming from the Trump administration against Chinas policies in the XUAR, but added that at some point, words are not enough, urging the U.S. government to hold Chinese officials and businesses accountable for their actions in the region with sanctions through the Global Magnitsky Human Rights Accountability Act. 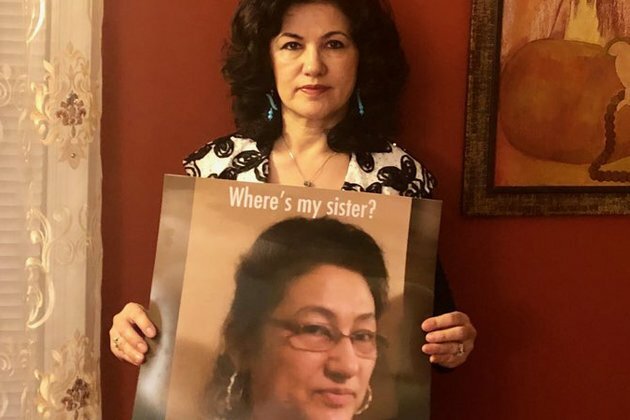 She recently told RFAs Uyghur Service in an interview that Uyghurs in the U.S. must raise their voices to ensure Washington takes Beijing to task for its actions in the XUAR and demands the closure of the regions camp network. What we are asking for [from the U.S. government] is to punish Chinese officials who are responsible for what is happening in our homeland with the Global Magnitsky Act. This has been delayed for too long. The Trump administration the Department of State and various other agencies, such as the U.S. Department of Commerce, should enforce the Global Magnitsky Actthat is our strongest request. What Uyghurs can do is speak out against Chinas atrocities. For example, when my older sister was taken away, I stood up for her and starting speaking out five weeks after her detention on every possible occasion. Because of this, I drew the attention of journalists and the government. This is why I was invited to testify at the U.S. Senate. The more Uyghurslike me and others who have campaigned for their disappeared relativesspeak out, the more awareness they will raise about the Uyghur situation. Uyghurs who have American citizenship must do more. As citizens, we have the right to demand answers from our government and lawmakers. We must use our rights granted in the Constitution, and all Uyghur citizens should use these rights. Reported and translated by RFA's Uyghur Service.